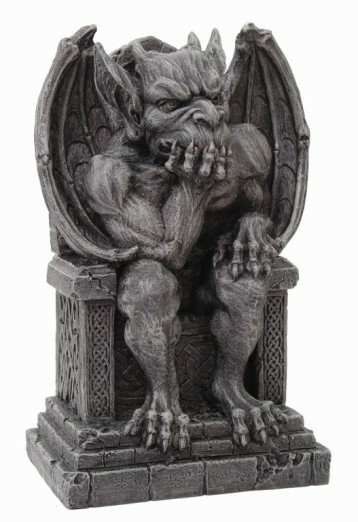 Gargoyle on Throne Statue  - $20.99 : Mystic Crypt, the most unique, hard to find items at ghoulishly great prices! 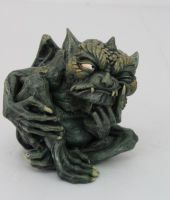 The Gargoyle on Throne Statue would make a great accent piece in your Gothic or medieval themed home. This statue features a gargoyle sitting on a stone throne decorated with Celtic designs. This statue is meticulously crafted from cold cast resin and hand painted. 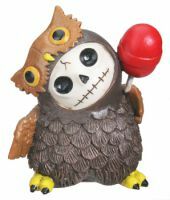 He measures 7 1/2 inches tall, 5 inches wide and 3 1/2 inches in depth.